Delfino Homes has been developing, building custom homes and homesites throughout the Central Valley for over 25 years. We take pride in our craftsmanship, which result in beautiful, well constructed, quality homes and is simply a better value to homeowners. You should never have to compromise on quality to have a home you can afford. Turn to George and his team of experts for your next custom or remodel home needs. It all starts with George Delfino. A Bakersfield native, George’s family roots run deep in this community. When he puts his name on a home, it means something to him. Don’t let the laid back, easy-going demeanor fool you—his casual style masks an intense passion for excellence. 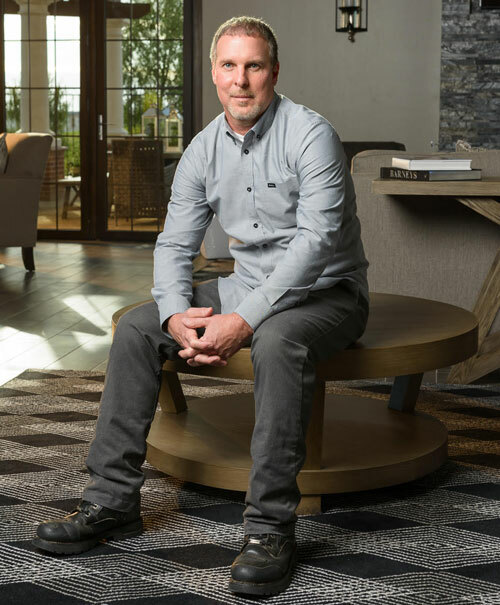 As a design visionary, George sets a high bar of excellence for everyone within the company—staff and contractors alike. This results in distinctive homes unlike any others you will find on the market. Each design has its own unique character are highly functional and always beautiful. If unexpected situations arise after you move in, you can rest assured that a Customer Service Team is ready to take care of the problem right away. It’s just another example of the peace of mind that comes from owning a Delfino home. This passion for excellence, the superior design and construction, the hand picked amenities, and a responsive and committed customer service team… it all can describe just one local builder: it’s Distinctively Delfino.